Doesn't get much better than meat that has been injected with this tasty mixture! 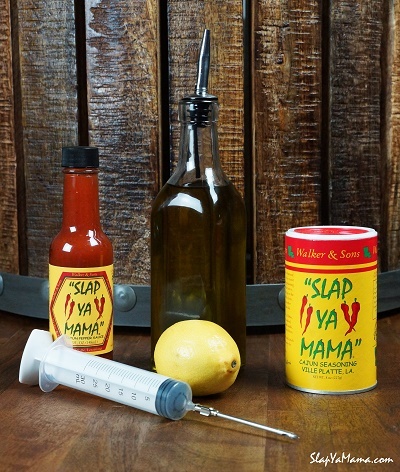 In a bowl or jar, combine Slap Ya Mama Pepper Sauce, olive oil, Slap Ya Mama Original Blend Seasoning and lemon juice. Mix well. Fill the syringe with the marinade and inject into the meaty parts of whatever you’re cooking. Enjoy!